Almond is a beautiful light fawn female and a proven dam. She is an excellent mom with a very good milk supply. She is very attentive to her crias, and all the crias in her pasture, she can often be found in the shade with half a dozen crias napping beside her. 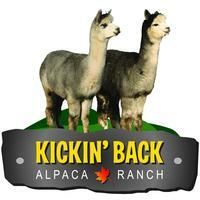 Almond delivered a healthy female cria on July 8th. 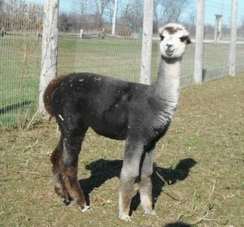 This cria has great fibre and the best personality we have ever seen. 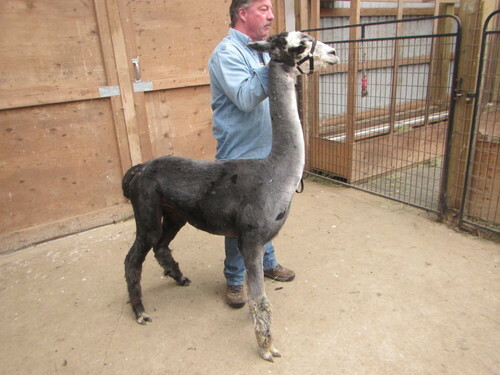 Amirror had his first four breedings last summer and we are awaiting the arrival of his cria July 2018 . 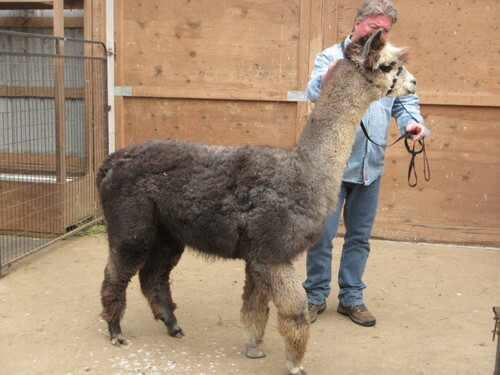 Although Amirror is an excellent alpaca I like his older brother just a little bit better so have decide to let Amirror go. 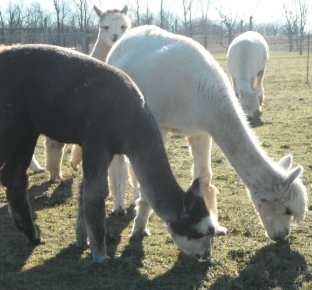 Of course after we see his first cria we may change our minds about that. His third fleece is amazing, Grade 1, 19 micron, 4 inches. It feels so incredibly soft and will be felted into wonderful shawls.